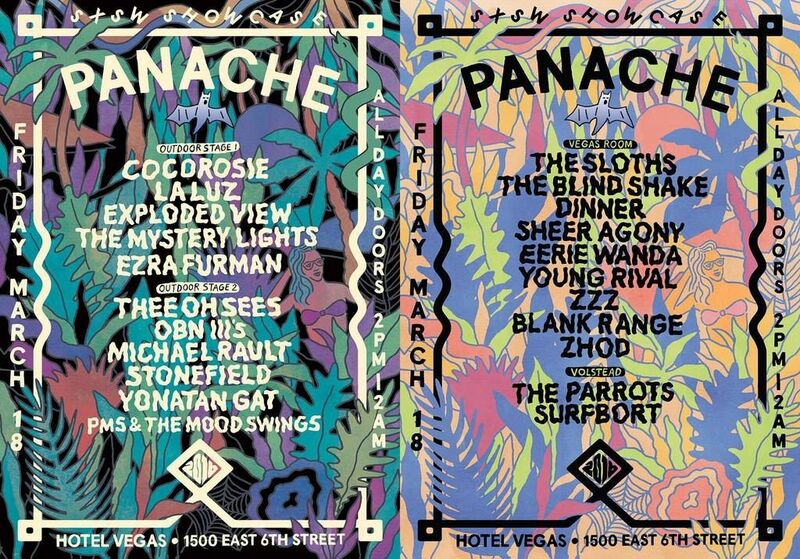 Panache announces SXSW Showcase w/ Thee Oh Sees, CocoRosie, La Luz, Michael Rault & more! Panache is thrilled to announce our official SXSW Showcase in Austin this year! We will be returning to one of our favorite local venues Hotel Vegas and taking over all day and night on Friday March 18th. The line up will feature Thee Oh Sees, CocoRosie, La Luz, Michael Rault, Stonefield, Dinner & more Panache artists coming in from all over the world for one week of madness in Austin. More parties being announced soon. More info on our showcase here.